I am the world’s laziest composter. Half of winter, I don’t even hike it out to my heap and instead throw the trimmings in the trash. And when I can be compelled to hoof it over to the wire enmeshed pile of rot, a bin of whatever is unceremoniously dumped on top. I have never considered the ideal balance of greens to browns to scraps. I have never stirred it. I think I may have watered it once a couple years ago. Maybe. That said, I didn’t have the highest hopes for my heap. 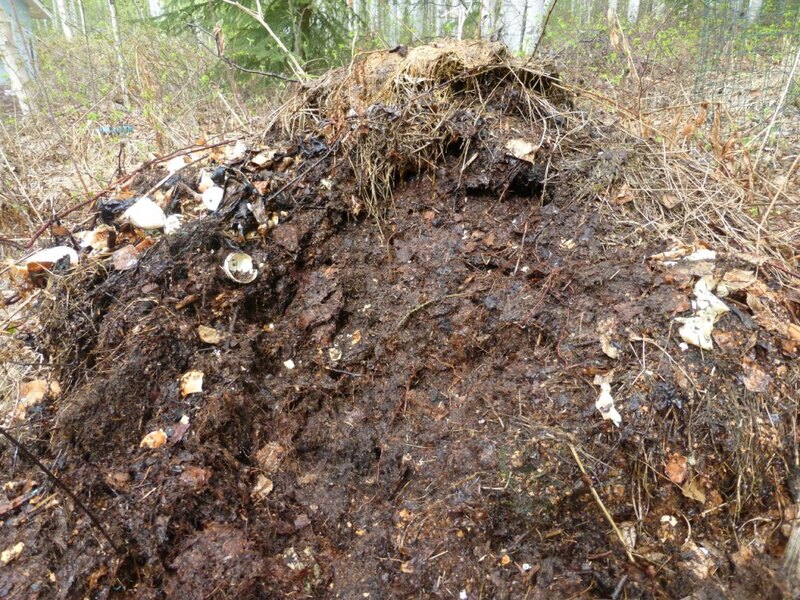 (After all, this is Alaska and composting conditions are ever less than ideal.) I mean, I’d never done anything with it. But then I made the mistake of reading The Omnivore’s Dilemma by Michael Pollan (which is a wonderful and terrible book- read it with caution), and furthermore, I read it right during spring garden prep. Usually, I just sprinkle some synthetic fertilizers in my garden and call it good. Voila! Instant fertility! But Michael was staring over my shoulder. And probably Gaia, too. *shudders* So with trepidation, I made my way to the compost pile, pitchfork in hand, to see what Nature had in store for me. 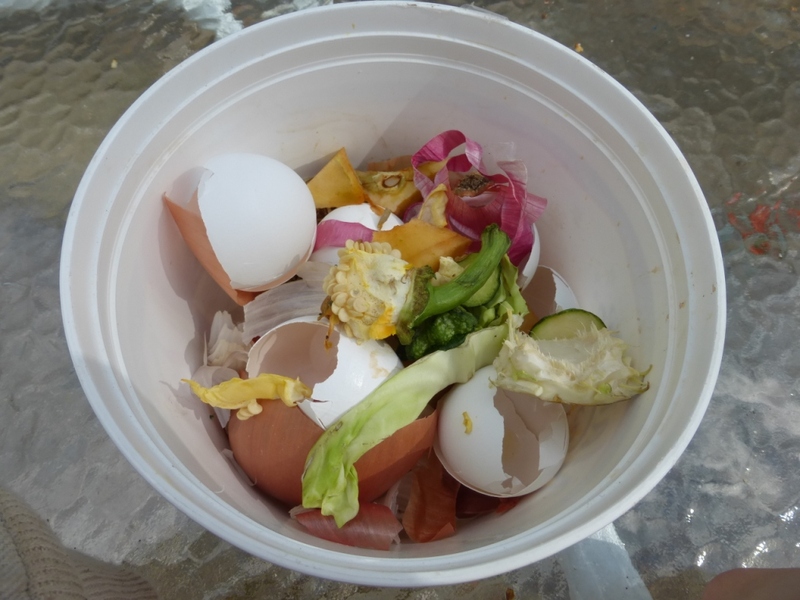 After scraping away the crust of slimy kitchen scraps, litter from the chicken shed, and last summer’s grass clippings, I paused. Stunned. 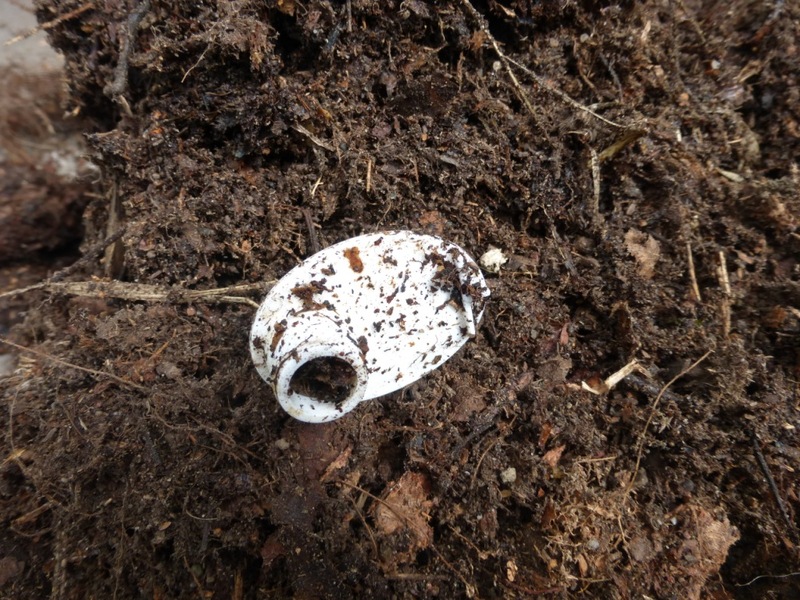 Crumbling out of a loose and homogenized core was glorious, dark, rich soil. It had worked? Something I had done had actually worked? But occasionally, I’ll come across one again. Or I’ll see something and remember it. Or someone will say something that reminds me. And surprisingly often, it is suddenly, inexplicably, magically workable. What was once rotten garbage is trash no longer. Fortunately, I am an entry-level expert on rot because of my son’s science fair project and the Magic School Bus. Whether they’re rose bushes, lettuce leaves, or your Aunt Sue, living organisms are wicked complicated. When they die, the careful balancing act is over and they immediately start breaking down. (Think of a tomato right when you pick it… and then after four weeks of sitting on your damp counter-top.) This breaking down process can messy, stinky, and ugly. But this process is absolutely vital to all life on earth. Rotting releases the water, nutrients, chemicals, proteins, and more impressive science words, that were all trapped in the living organism. And once they’re free, they can be used by other organisms again in their own efforts to not die for as long as possible. Nature is all about recycling, again and again and again. Giving your messy, stinky, ugly ideas a little time to ruminate lets your brain pick it apart. It lets you get at the deep down, basic parts that are at the core of every idea, good or bad, and put them to good use in an exciting new way. It lets you pick out the bits ready for recycling and pass over the parts that need a little more breaking down. As a final note, remember that not all things break down. Take, for example, this piece of pristine plastic, untouched by time and decay, sitting pretty in the middle of all this glorious topsoil. A little rinse and I could probably convince you it didn’t just spend the last three to five years at the heart of a rotting mass of vegetative leavings. I do not know how it got there and, turns out, it’s just garbage, and will ever be such. Not all ideas will magically metamorphose into world-shaking flashes of brilliance. Some ideas are just garbage. And that’s okay. Use what you can, till that rich, raw earth, and watch your garden grow.